Herbalists on a 2005 tour of D’Coda’s Ozark Wilderness garden. Lyme Solutions Pt 1 – Ticks! Tips on avoiding ticks and the diseases they carry. A short video on symptoms and diagnositic options in Lyme disease. Lyme is a clinical diagnosis. What does that mean? What should we look for? Is there always a Bull’s eye rash? Most importantly, what is a Lyme Literate Doctor and how to find one. What’s behind the controversy in treating Lyme? 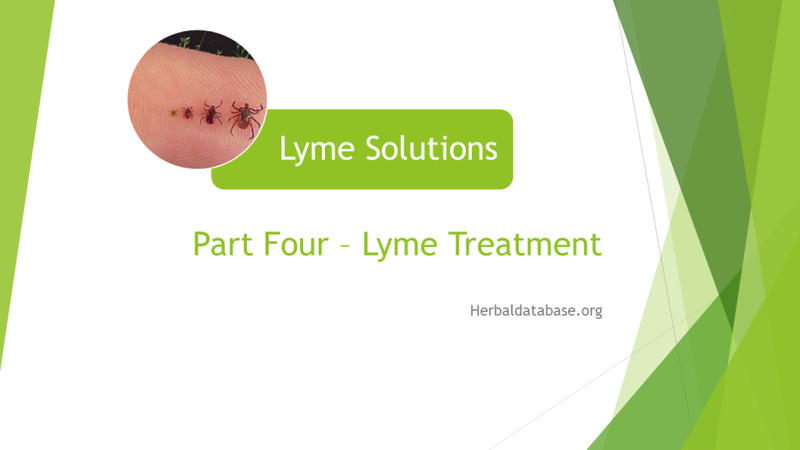 Can Lyme be cured? If so, how? Coverage of treatment options for Lyme Disease continues with Immunonutrition and a look at proven Lyme protocols. 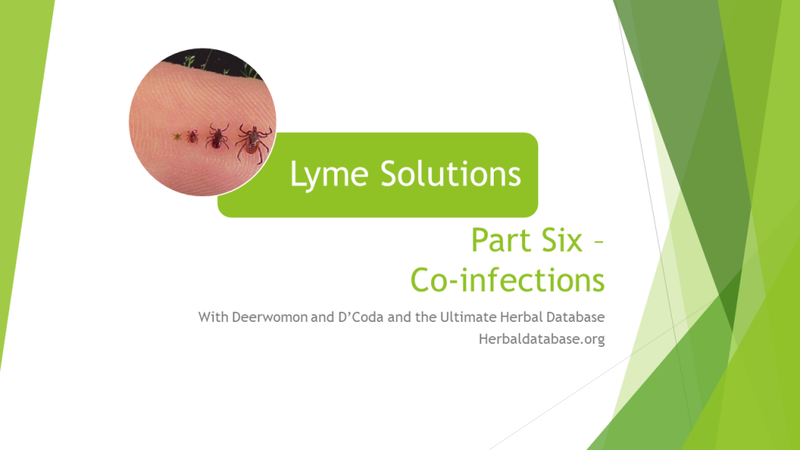 Chronic Lyme is often due to the common co-infections that accompany it. Learn what these are, what are the signs, how to test for Lyme co-infections and how to treat them. The best way to keep up with new courses, classes, events, videos, articles as they come out. We don’t share your information with anyone!